CAVE is a recursive acronym that stands for CAVE Automatic Virtual Environment. 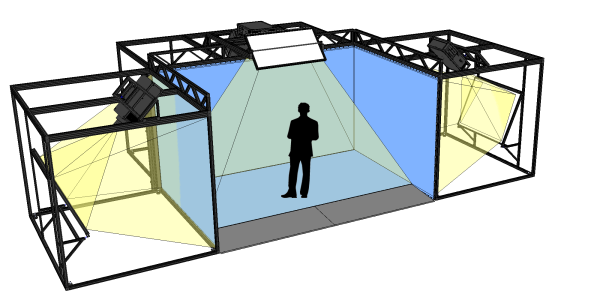 The CAVE is a projection-based VR display that was first developed at the Electronic Visualization Laboratory (EVL) at the University of Illinois at Chicago. It premeried at the SIGGRAPH 1992 conference. – 2000: Members of Vis Group at NCSA founded Visbox, Inc.
Members of that Vis Group at NCSA founded Visbox in 2000 to provide CAVE systems that are more affordable and easier to use. The original CAVE made use of expensive Silicon Graphics (SGI) computers and analog CRT projectors that were difficult to maintain. 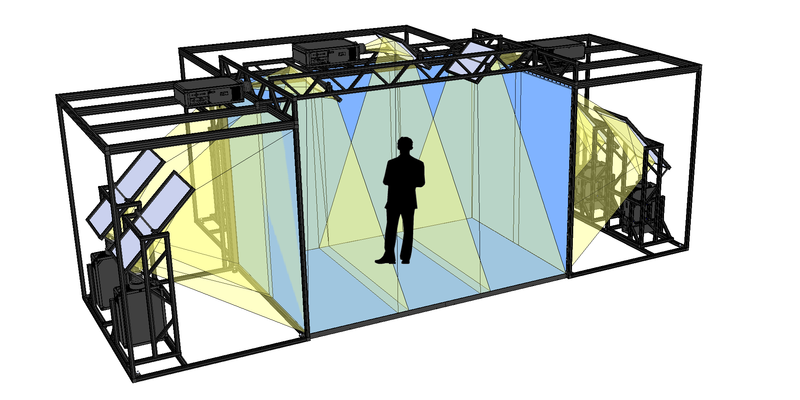 Visbox’s VisCube CAVE systems feature the newest in digital projection and PC workstation graphics hardware. 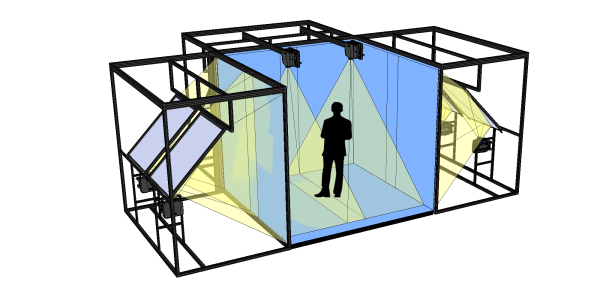 The VisCube™ is an affordable high performance CAVE immersive virtual reality system. 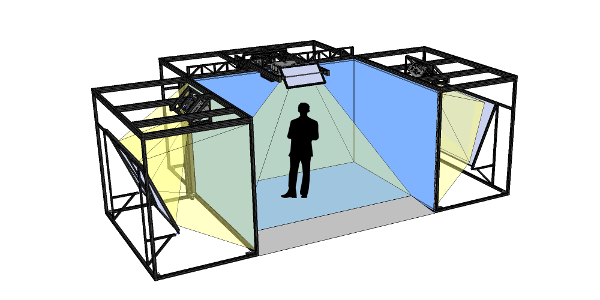 The standard configuration features three large rear-projection walls and a front projected floor. 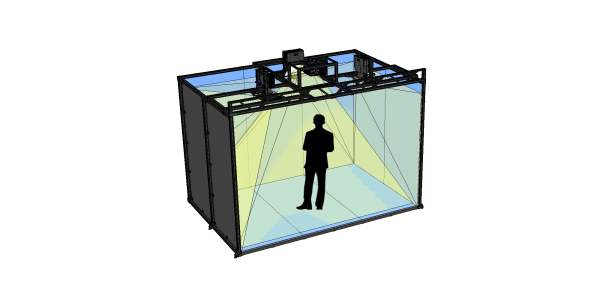 The VisCube can be configured as a turn-key immersive virtual reality system, complete with a tracking system and graphics workstation. The VR software environment is based on industry standards. 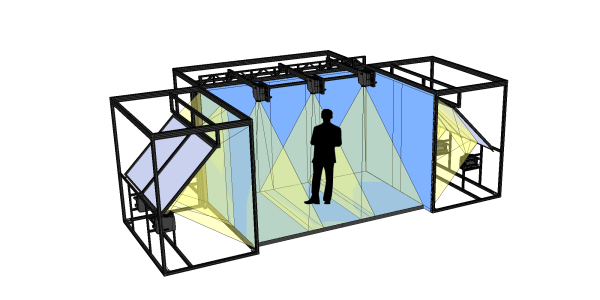 The system is pre-configured for use with common VR software such as MiddleVR (Unity), FreeVR, and vrJuggler. Read more about CAVE Applications. In addition to the standard VisCube models, we are available for custom hardware development for customers with special needs. See the Services page for more information.